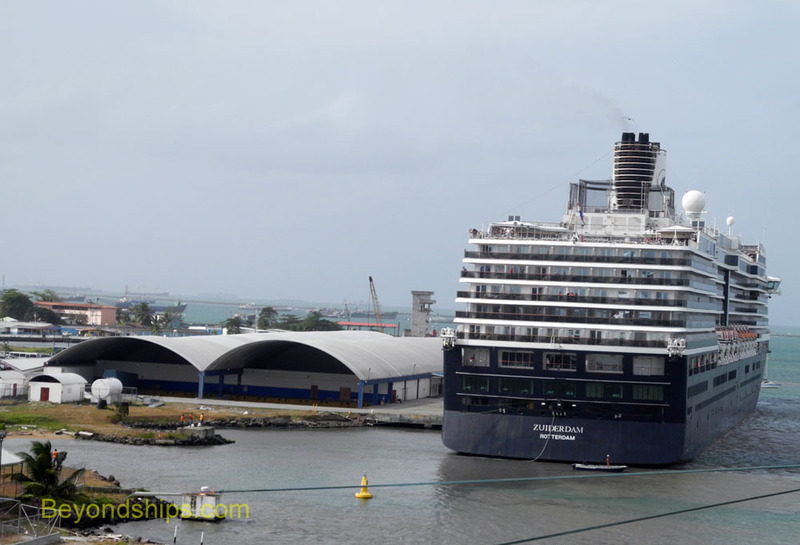 Zuiderdam berthed in the Colon 2000 cruise port. 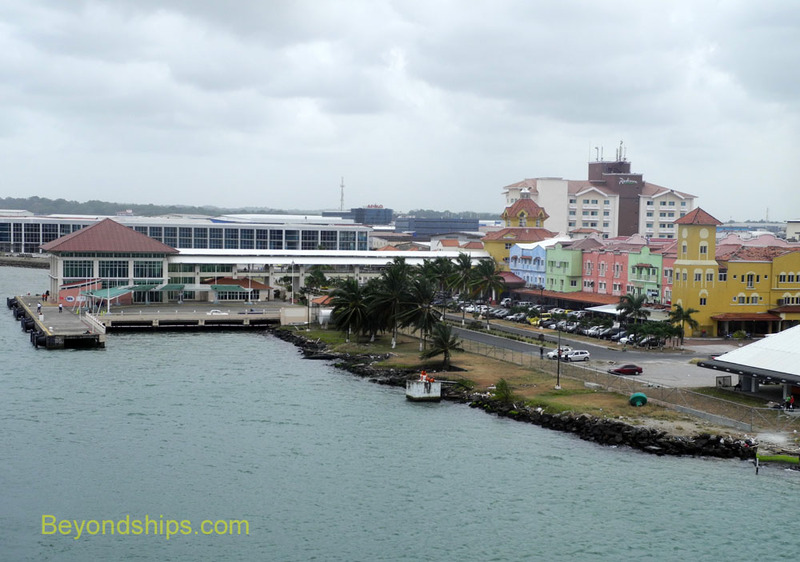 The primary cruise port for the Panama Canal is the Colon 2000 port in Colon, Panama by the Atlantic/Caribbean entrance to the Canal. Cruise ships doing transits of the Canal often stop here to disembark or embark passengers for shore excursions and independent exploration. Ships doing partial transits stop here to retrieve passengers who have been on shore excursions. Colon 2000 has two cruise terminals. The Port of Call terminal opened in 2000 and is a modern facility attached to a shopping mall by a pedestrian bridge. The mall has shops and bars and is next to a modern hotel. The Home Port Terminal opened in 2008. It is also a large modern terminal building. Passengers can walk from this terminal to the shopping mall at the Port of Call terminal. There are parking lots immediately adjacent to the terminal buildings. The Colon 2000 complex is fenced off from the surrounding area and the entrance is guarded. Beyond the fence is a primarily industrial area and the city's free trade zone. Although this is a duty free area, there is little for tourist shoppers as the transactions are usually done in bulk quantities such as railroad car loads. 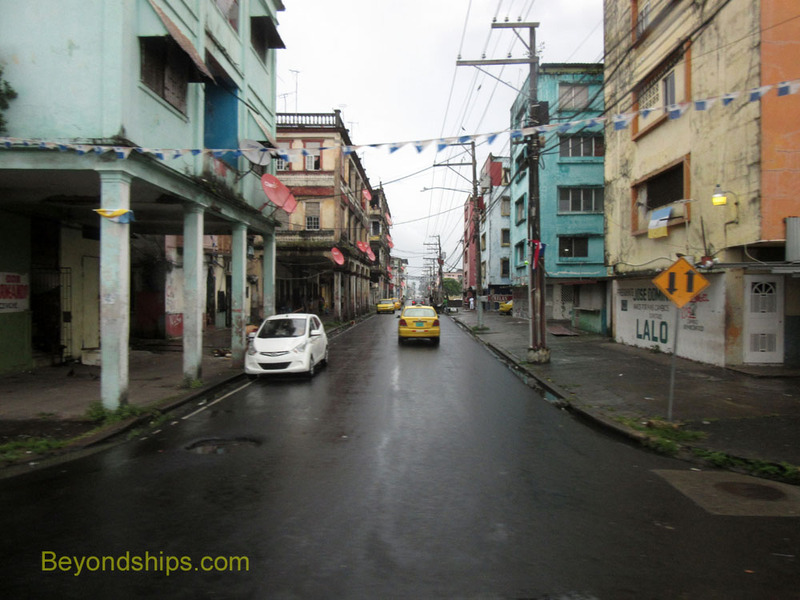 Colon is Panama's second largest city. However, there is little to see in the city itself and the city has been troubled by a reputation for street crime. In the past, cruise ships also called at the Cristobal Pier, which is about 3 miles from Colon 2000. However, this facility is seldom used by cruise ships these days. 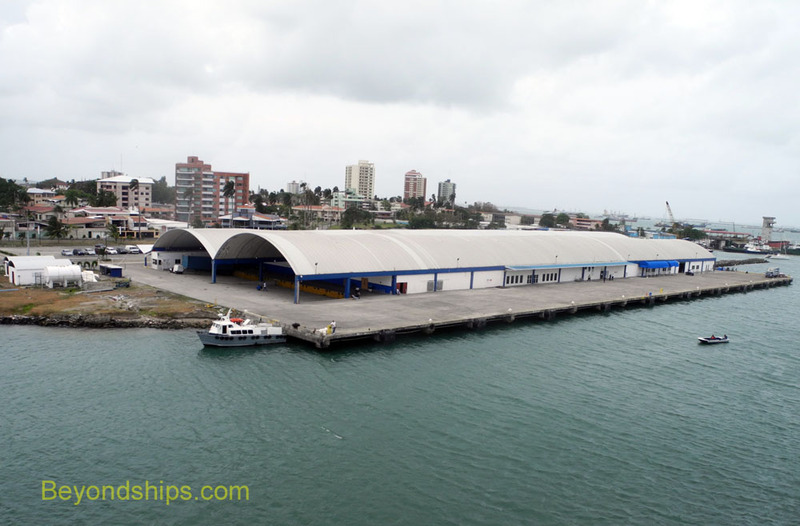 ﻿Above: The Port of Call cruise terminal in Colon. Above: The Home Port cruise terminal is next to the Port of Call Terminal. Above: Colon, near the cruise terminal.